Google Page 1 Ranking Tips: Position 4 in 3 Minutes! So glad that I've just achieved Google Page 1 Position 4 ranking in just 3 Minutes! As you can see, this is a review I wrote on Digital Altitude, and the SERP shows "3 mins ago". It's a really motivating result. Firstly, Keyword Research is really important! My main keyword for this post is "Is Digital Altitude a Pyramid Scheme". This is one of the terms that people are likely to search for when they're researching for DA. However, as compared to the very common keyword "Digital Altitude Review", the QSR (competition) for my keyword is a lot lesser. The QSR for "Digital Altitude Review" is 215 while the QSR for "Is Digital Altitude a Pyramid Scheme" is only 13. And the SEO Score for "Digital Altitude Review" is 77 while the SEO Score for "Is Digital Altitude a Pyramid Scheme" is 95. The keyword I choose is more of a long tail keyword. With less competition, it has lesser searches and traffic as well. But our main goal is to rank on Google page 1, isn't it? So, the first step to better ranking is to choose your keyword wisely and you only need to focus on ONE keyword per post. By the way, there's a common misconception regarding "long tail keyword". A long tail keyword does not mean the keyword is longer and has more words. In fact, the length and number of words of a keyword has nothing to do with whether it is a long tail keyword or not. I spent around 1 to 2 hours reading people's reviews online as well as signing up for DA's 14-day trial to see the platform myself. There's one very common misconception people have is that they can't write a review for products they have not tried themselves. If you are one of them, check out this post on 5 Strategies to Write a Product Review without Buying & Owning the Product Yourself. I'm telling you that you can write reviews on things you've not tried or even owned yourself. There's nothing wrong with it. So, I did my thorough research before putting everything together and wrote the review. As you can see from my Digital Altitude review, it is very authentic and thorough despite I didn't personally tried their courses. In order for your post to get ranked in Google fast, you need to get your on-page SEO right. That's the crucial thing you have full control in your hands as compared to off-page SEO where there are certain factors that are not within your control. Basically, I did the 7 SEO Tips Jay taught in his live webinar. If you haven't watched Jay's Webinar Replay on these SEO Strategies, what you need to do is just click on this link and go watch it! Because Jay's advice works! All these advice from Jay is very useful and powerful and it still applied TODAY in 2019 and beyond. We should learn and apply to our own contents! As long as you get your on-page SEO right, your chance of ranking well in Google fast will increase a lot. The process doesn't end at the point when you hit the publish button. In fact, promoting your content is as important as creating it. (1) I come to Wealthy Affiliate and request comments. You can do it in the SiteComments area. (3) Go to your Google Search Console and do a "Fetch As Google". Since Search Console has been updated, you might be wondering where is your "Fetach As Google". After doing these three steps, I typed in my keyword into Chrome Incognito and BOOM!! Page 1 Position 4 in 3 Minutes. (1) Leave comments on contents related to Digital Altitude and link to my post (despite being nofollow). (2) Find forums, groups, discussion areas where people are discussing about Digital Altitude and participate in the conversation. I'll eventually link to my post in a natural way. (3) Write relevant (review) posts and build internal links to this posts. For example, I can write a review on Empower Network or Carbon Copy Pro because Michael Force, the founder of Digital Altitude, is also involved in all these other programs. These are the strategies you can apply to your own content creation and promotion as well! All you have to do is to follow the training here in WA because it works. No doubt there are a lot of learning, effort and time needed but we are building a business for ourselves. If you want to succeed, there's no short cut but to really put in the hard work. If you're able to persist and be consistent in your work, it's going to pay off. Once you gain the traction for your business and the trust from Google, your traffic as well as your sales will increase exponentially. I really hope that what I've shared in this post can help you get better rankings and improve your SEO skills. 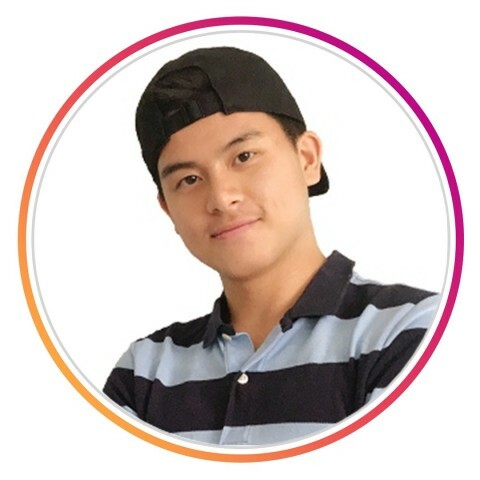 You are just Awesome and are excelling to the very top. I think your great and I wish you the very best in all you do Jerry. For a young man starting out you are the absolute top of where you want to be. An inspiration not just for me an oldie but for all teen Kids like my son 19 and daughter 16. Keep on inspiring and obviously keep sharing these amazing posts. Thank you so much Debs! Thanks for all the kind and encouraging words. I appreciate it! Jerry I have love your posts they are very informative, I like how you add links to articles, posts and videos that you found helpful. I plan to read and watch them all. One question I have is you have mentioned several times to follow the training here at WA and I agree this is really important. Did you do all you training at WA first then branch out, or were you following the the training here while doing all the extra research. The problem I am having is I get going on training then get side tracked on the extras. Should I do the training till done then implement the skills suggested in yours and other's posts? For me, yes I completed my training at WA before branching out and learning from other places & resources. For you, it's totally up to you. If you think some of my tips are good, you can implement them along the way. But if you're the kind of person who needs to be very systematic or else you've mess things up, then do one thing at a time. My stand is always very clear... all my posts and training here at WA only serves as "supplementary training" because most of the concepts are all covered in the main training. Just that there are things I think that should be emphasized or clarified more. Thanks for the reply, it helps to know how others have approached things. I think I will follow traing then branch out. It might stop me from chasing my tale. One thing I am going to study content writinf from others at WA and hope this helps my writets block. I am bored with my pists and so I think the reader will be too. Again thanks for all your help and I wish you the best in all your endevours. I have installed Yoast SEO plugin instead of All-In-One SEO plugins. Yoast SEO has the first 6 SEO tips of the 7 tips in your webinar. I tried to do first 6 things when All-In-One is active on my site, but somehow I have to use Yoast SEO to enable me for the SEO stuff amendment. I am not sure that if I have to buy the premium version of All-In-One to work on those 7 tips. I didn’t buy the premium. I don’t think it’s necessary. Hi.Jerry. Do you know how to make All-in-One SEO do the same thing? I couldn't do it no matter how I changed the meta data. Google simply doesn't show up the changes I made on the SEO stuff. Only Yoast works. Do you mean the Meta description? Or...? All-in-One simply didn't work no matter how I change the settings of the plugin. That’s weird. You may want to submit a support ticket to SiteSupport. That's why I have to switch to Yoast SEO to solve my problem. Hence, I thought All-in-One has to be in premium for SEO stuff amendment. I don't think that's the case though. But it's been a long time since I work with AIO. So I kinda forget about it already. hi jerry do you have to add every post to URL or adding new websites is enough? What do you mean? Add every post to URL? Add new website? Sorry I don’t understand. Can you elaborate? No it's not enough. After that you have to submit sitemap to search console. And if you want Google to rank your content faster, you can use Fetch As Google and AddURL. Great teaching Jerry! You explain things very well! Hi.Jerry. I just finished my training level 2 on this week. Your knowledge on this post is really a good supplement upon to what I learnt from WA training. Thanks a lot. By the way, is there anyway to leave a feedback on commenting someone else webpage's metadata? What do you mean by leaving feedback on commenting someone else webpage metadata? I don't get it. I mean to check out what other people write on metadata, and then write a feedback based on that. But how to check metadata of other's sitesite? Is google the only way? Yea because meta data are the things that they want their content to be shown on Google. Extremely helpful and very well written. This is by far one of the best support tools I have found, and huge thank you for that. I am sure this will prove to be an asset to the learning curve. Many thanks again Jerry, excellent work. This is a great post! Full of great tips. Thanks for sharing. I also like your website. Great review style. Easy to read. Looks professional. Thanks a lot for the detailed post I read it completely following the links (post) you mentioned really helpful and I need to implement all these I am missing a lot. Thanks a lot! Thanks a lot Paul! Thanks for trusting me and always learning from me. I have faith in you!! I think it's a good keyword to get rankings easily. 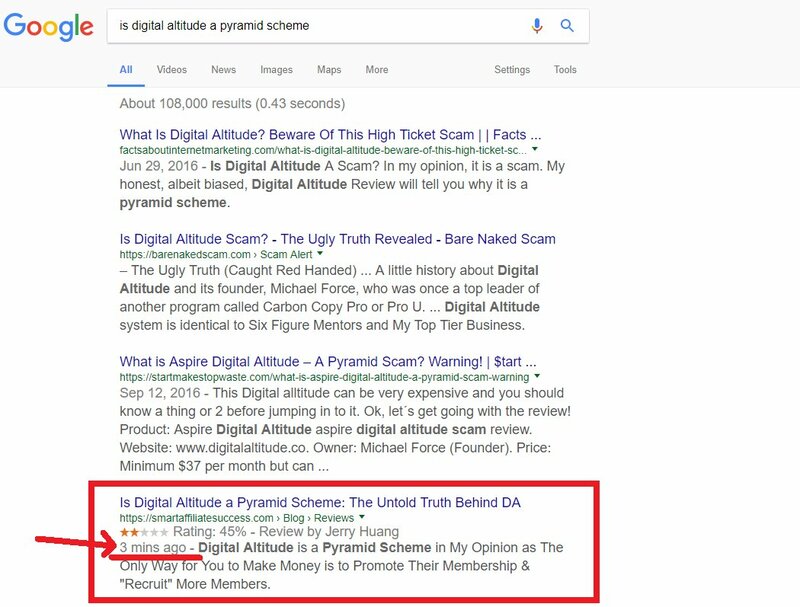 If you include words like "review", "scam" into your post, you may also be ranking for keywords like "Digital Altitude scam", "Digital Altitude review". Once you're ranking for multiple keywords, your traffic will be a lot more. Okay Thanks a lot My Friend! Great post Jerry, you write very well! OH MY GOSH. I am so lucky that I came across this blog post. Thank you Jerry for sharing with us about the Search Console AddURL function. I just followed Jay's 7 steps which he only mentioned about Fetching as Google. Additionally, I cant find the AddURL function in my google search console! I had to click on your link instead. It’s not in search console. Thanks. Will take some time to digest it all. Love this, Jerry! All the more reason to watch the recording of Jay's "7 SEO Strategies....." webinar soon. I missed attending it (like so many others before despite my registering) and I can imagine that it will provide some more answers that I have been seeking. Hi, this really does work! I followed all the training here and in the links you shared, and wrote a post yesterday. Then I checked google incognito today and I'm on page 3! Excellent job. Your steps are very helpful. Congratulations. This is very good information to have. Thanks, Jerry. I applaud your recent ranking! Thank you so much for sharing this with us. I know I'll be working on the trainings that you referred to this afternoon! Thank you for sharing and well done on your great results. This is a very good guide to follow. Thanks for sharing these ideas. This is an incredibly good post Jerry and I'm going to bookmark it for reference and guidance in ranking. Thank you. This is an excellent post! It is laid out in a very clear and easy to follow way, and includes all the important steps. And thanks for the link to Dom's post on long-tail keywords. I had the right thinking with that, but the way he explained it really settled it in my mind. Thank you Dave! Glad this helps. I wish you all the best! Something I think you should add to all that, which is just as important, is consistency. If you consistently add content at a regular interval as well as follow what you listed above, Google and the other search engines will love that and certainly rank you faster which will definitely help in getting traffic to you quickly. If someone posts sporadically, not keeping with a consistent pattern, you'll see that your posts won't rank as quickly. You're right, I missed it, lol. This is a really great step by step explanation Jerry. I am sure this will help people a lot. I think this is an amazing post and came to me just at the right time as I am really starting to focus on SEO. Great job Jerry and thank you for the information shared. Great job Jerry! Not only with your ranking but with this blog that a 3-year blind kid could read and use to rank with. I would have to say the best blog I have read in December thus far. Keep up the great work!! This is a very good post, so professional. It makes me realize there are many more things I could and should do. All the best. Indexed > ranked > trafficked == success! There's one more component: Conversion! Congrats on the first page. One for the archive. I will go through Jay's 2018 a bit later. I haven't been able to attend the webinars lately on Saturday mornings here in OZ. AND trying to finish off an opal site. By the way how much traffic did the keyword receive and is the competition for this keyword? I would be interested to know. The screenshot below is the result of the keyword research. I wouldn't worry too much about the traffic though. Because ultimately one post can be ranked under many different keywords so the total traffic is the sum of all the keywords that your content rank for. For example, I may be able to rank well for keywords like "Digital Altitude Review" as well which has a monthly searches of 651 and first page traffic of 111. Our main goal is to find long tail keywords that are easy to rank. I know what you mean because other keywords also come into play. I noticed that in analytics. Thanks, mate and I will have a look at those longtail keywords if I can fit them in with the domain. Some I have tried are too long and exceed the 60 mark in the title. By the way, long tail keyword does not mean the word is longer. In fact, the length of the keyword has nothing to do with whether it is a long tail keyword or not. And, thanks, for the link to Dom's post on "AddURL"...!!! That's awesome Jerry you work so hard and deserve to be at the top. I'm proud of you :D I just shared this on Twitter! Thank you for sharing. Your experienses give a wonderful insight! Great work! Well done and a huge thanks for this amazing and educative blog. Great reading here, Jerry. I agree with everything you posted here, and a recent post in my WA blog detailed a bit on how my post was ranked quickly - and that wasn't even the goal. Thanks for sharing this Jerry. A lot of great tips here! Congrats on your success if ranking. The main point is that the post gets ranked very fast. I will be now following this order to have my own posts get ranked fast, too. Thank you so much for this valuable tip. We all know this, but you are the one being able to put the whole process in a nutshell.